(Bloomberg) -- Steinhoff International Holdings NV said its struggling French furniture retail unit Conforama raised about 316 million euros ($357 million) to help fund the business amid a mounting debt load. Sales at Conforama significantly deteriorated between 2017 and 2018, Steinhoff said in a presentation on its website on Thursday. That was while Steinhoff was battling for survival following an accounting scandal that’s wiped more than 96 percent off its market value. Meanwhile, Conforama’s expenses increased due to store openings, marketing campaigns and other projects initiated before the crisis erupted, Steinhoff said. The unit’s net debt was 1.72 billion euros at the end of last year, outstripping its equity. The vast majority of the debt is owed to other entities within Steinhoff. The fundraising places Conforama at the forefront of Steinhoff’s struggle to stabilize after the unveiling of accounting wrongdoing in December 2017. The South African parent company has yet to report audited financials for the 12 months through September of that year, as auditors struggle with the complexity of revaluations and the profitability of various subsidiaries. 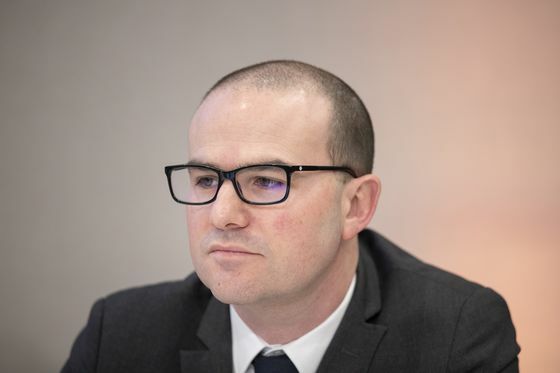 Nodale, who gave up the deputy CEO role at Steinhoff on Thursday, will remain as CEO of Conforama only until the unit’s long-term financing is finalized. After that, Helen Lee Bouygues will become chairwoman with Cedric Dugardin as CEO. Steinhoff has offloaded several assets, including Austrian furniture chain Rudolf Leiner GmbH and stakes in firms such as KAP Industrial Holdings Ltd. Conforama may also be for sale and it’s considering thousands of job cuts, Paris-based BFM TV and Le Figaro said in February. Steinhoff hasn’t commented on those reports. Other assets owned by Steinhoff include U.S. bedding chain Mattress Firm, bought for $3.8 billion in 2016 as part of an aggressive expansion drive. That firm filed for bankruptcy last year, and flirted with collapse before securing $525 million in funding to support operations. Steinhoff shares fell 0.2 percent to 11 euro cents as of 10:20 a.m. in Frankfurt.